Sir Richard Branson is shown in Madrid, Spain, in this Dec. 10, 2013, file photo. Richard Branson is suspending discussions with Saudia Arabia about a proposed $1 billion investment in Virgin's space companies. Branson cited the recent disappearance of journalist Jamal Khashoggi, who Turkish officials allege was killed by Saudi agents. He said that "if proved true," it "would clearly change the ability of any of us in the West to do business with the Saudi Government." Virgin Group founder Richard Branson suspended discussions with Saudi Arabia about a proposed $1 billion investment in Virgin's space companies following allegations that journalist Jamal Khashoggi was murdered in the country's consulate in Istanbul. 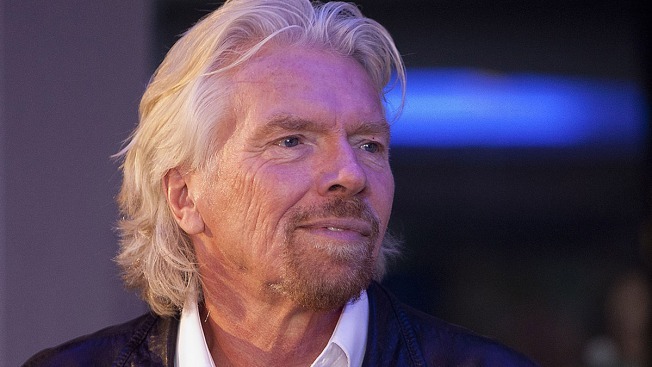 "What has reportedly happened in Turkey around the disappearance of journalist Jamal Khashoggi, if proved true, would clearly change the ability of any of us in the West to do business with the Saudi Government," Branson said in a Thursday statement. Khashoggi is a U.S. resident who had voluntarily exiled himself from Saudi Arabia and was often openly critical of Crown Prince Mohammed Bin Salman's government. The journalist has not been seen since entering the Saudi consulate in Istanbul on Oct. 2. Turkish officials allege that Khashoggi was murdered and dismembered by agents under royal orders from the Saudi government. The kingdom has denied any wrongdoing. Last year, the Saudi government announced its intention to invest $1 billion total into Virgin Galactic, which focuses on space tourism, and Virgin Orbit, which aims to launch small satellites into space. Branson said that he will suspend discussions amid ongoing investigations into Khashoggi's whereabouts, but did not give any other indication of when or if talks might resume. Branson also announced that he will step down from his role as director of two Saudi tourism projects aimed at transforming islands in the Red Sea into luxury resorts.